Garden furniture products have taken on a new lease of life since the garden has become more of a living space rather than the traditional flower beds with a lawned area. Now they are made in all manner of styles and materials. It’s so refreshing to be able to choose from such a wide range of products for different purposes and also to create individuality in our gardens. The choice is truly amazing! So where do you start? Such a extensive choice can be daunting as well as exciting. Firstly, be clear on the purpose of your garden furniture. Will you be dining outdoors, sunbathing, entertaining, or all of these? Will you need more than one piece, or set, of furniture for different purposes at different times? Who is going to be using the furniture - adults, children, elderly? This will determine the range of products that are suitable. This is an important one for those who wish to create a look. The main choice really is either modern/contemporary or traditional. Most materials have styles that can be fitted into designs for either. 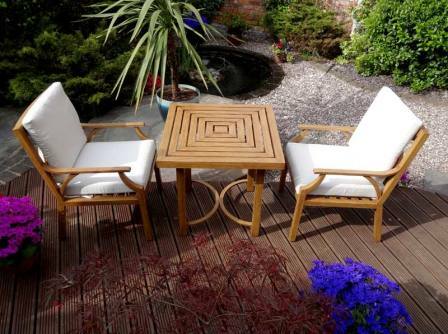 Wooden garden furniture products are now, more often than not, sold in hardwood. This is because it is much more hardwearing than softwood, which will have to be replaced after a few years, especially if it is left out in the elements all year round. Even so, hardwood furniture will fade as time goes on to a natural grey wood colour. There are all manner of stains and preservatives to prolong the life of your furniture but it will need treating each year to keep it in good condition. Wooden furniture comes in the traditional styles - dining sets, loungers etc. but can be made in contemporary styles, with sleek, smooth lines and is often used with metal. The warmth of wood is the main feature here. Because it is a natural product, it fits easily into a garden setting. Metal garden furniture has a completely different feel. It’s main advantage is that it can be moulded into very intricate designs, which give a traditional, light and airy feel, or clean lines for an ultra-modern style. One of the best developments of recent years is powder-coated furniture, as it is maintenance free. If you can find powder-coated furniture in a style that you like, it saves a lot of time and effort! Wrought iron furniture will need to be cleaned and sprayed every so often to maintain its good looks. This includes textilene, plastic, rattan, wicker and mesh. As gardens are becoming more of an outdoor living space, all-weather garden furniture has become much more popular, with man-made rattan and wicker, textilene, mesh and woven plastic products. The huge advantage of this type of furniture is that you can leave it outside and it won't deteriorate. Some of the designs are fabulous, whether it is dining furniture, sun-loungers, chairs, benches or swinging seats that you prefer. I am using these much more in my designs now, as they require little or no maintenance, which is an important factor in people’s lives today. Give a contemporary feel to the area with a rattan set. These look fabulous under a pergola, or on a patio. 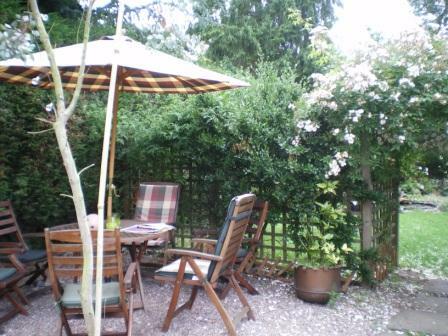 And here we have some basic all-weather, cafe-style rattan and aluminium chairs that look great in this setting surrounded by beautiful cottage garden plants. Luckily, these are not mutually exclusive! Just because some garden furniture products are cheap doesn’t necessarily mean that they are poor quality. Be on the lookout for bargain garden furniture products that are well built and can be adapted to your style's theme. The sun-loungers in the picture at the top of the page look sleek and modern on this roof-top garden. Needing to be left out all year round they were just what was needed. Notice the cool grey material against the neutral colour of the wood and porcelain tiles, with the flowers providing the colour highlights - and for four, at less than £100, they really were a bargain! Below are some companies selling a range of garden furniture products, which may be of interest, mainly for ideas on the type of outdoor furniture available - styles, materials and colours - starting with value products through to the more expensive ranges. I've included notes to highlight interesting features of each supplier. 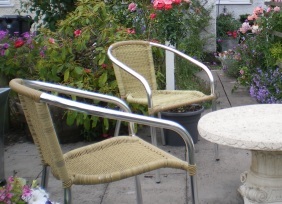 Good savings on all sort of very good quality garden furniture. Beautiful, contemporary pieces sit alongside intricate, quintessentially English ones. A good place for inspiration! Good value, affordable garden furniture products. 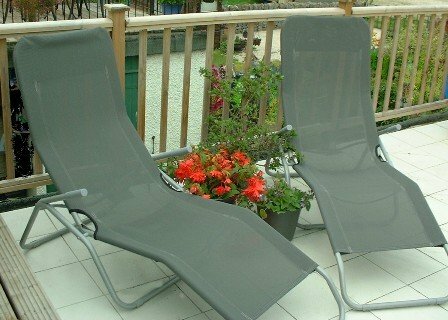 If you are on a tight budget, they have some cheap garden furniture items, especially at end of season. The range of products is obviously better preceding and during the summer months. Suitably placed and in interesting colours, their products can look great. It is all about choosing the right product, in suitable materials and colour. A dedicated garden products site with everything for the garden, especially geared towards garden furniture! Very good value products in a wide range of styles, most of which include free delivery. They have a good range of all-weather rattan sets and swinging seats, intricate metal garden sets, unusual tree seats, hammocks with fixings and much more, including garden structures, equipment and accessories. Maze Living is the official online retailer of Maze Rattan furniture in the UK. They offer the full range of Maze Rattan products, including exclusive designs. Maze Living allows you to purchase direct from the manufacturer for the first time. All Maze furniture is made from high quality materials, is waterproof and comes with free UK delivery. 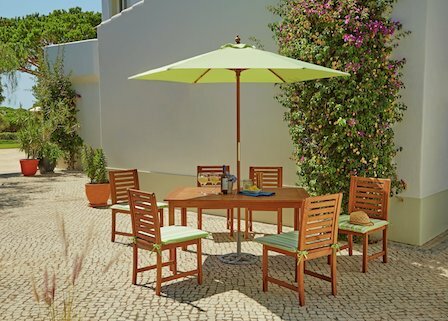 Rattan Dining Sets all include a free parasol, to complete the set. The range includes rattan sofa sets, rattan dining sets, rattan sun loungers and a range of rattan accessories. These can be found at various garden centres throughout the country and are well worth having a look at if you would like some really unique, stunning garden furniture products. All-weather rattan domes, tall seats and recliners are some of my favourites. They really have the Wow! factor. Their website doesn’t show the more unusual furniture, and so a trip to one of their outlets would be recommended. 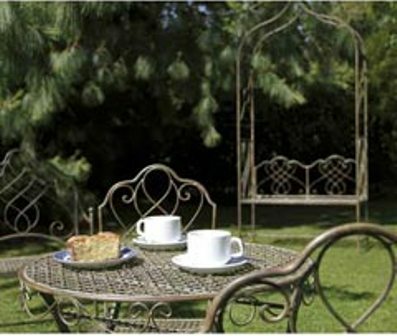 Your choice of garden furniture products can make a huge difference to the look and feel of your garden. Choose carefully and your garden will look fantastic - a comfortable and welcoming place to relax!